Treehouse Pediatrics is a kid-friendly clinic that creates welcoming, safe healthcare spaces for the little ones. 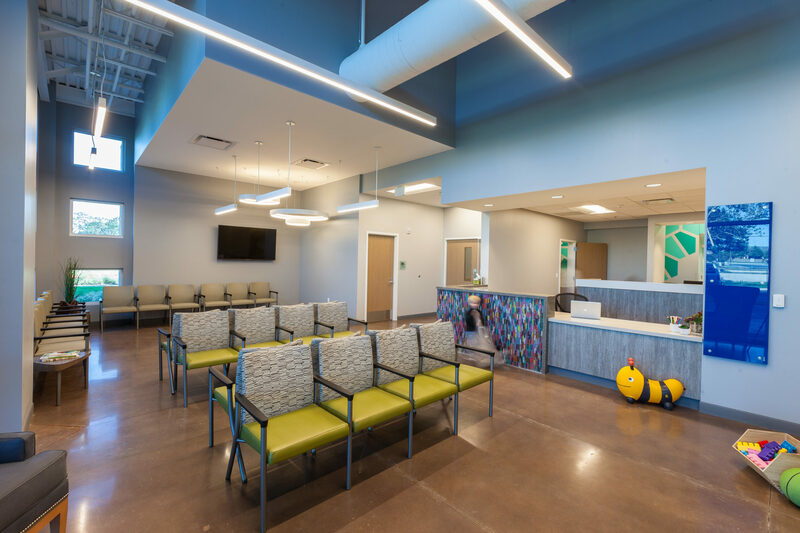 When the owners decided to move to Round Rock, they chose Sabre Commercial to build their new clinic from the ground up. 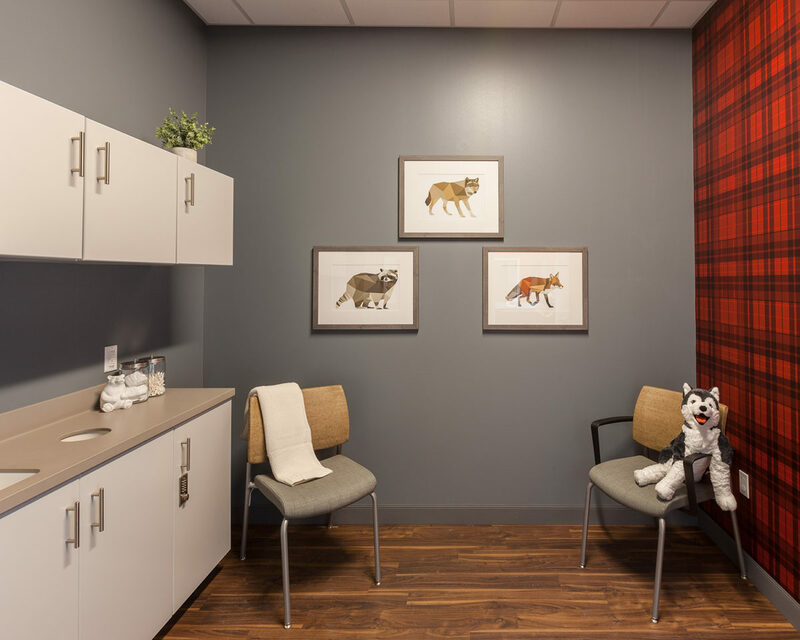 With dazzling finishes and themed patient rooms, this pediatric clinic is meant to take the anxiety out of visiting the doctor. The single-story medical office building features 22 exam rooms with corresponding nurse’s stations, six doctors’ offices, a fully functional lab and two separate reception areas for both sick and well patients. The BSA LifeStructures‘ interior and exterior design incorporates 30 different paint colors and 14 unique wall coverings—creating a whimsical space where different textures and materials converge to give each room dimension and visual pop. From shapes and stencils to hopscotch and art, strict attention was paid to making the offices accessible and appealing to our tiniest Texans.